The end of summer is the perfect opportunity to set yourself up for the last stretch of the year with some light decluttering. After two seasons there’s plenty of chance for clutter to start creeping back in and tackling these nine things will make your home look and feel much fresher. Tins and packets often accumulate over time; within half a year you end up with half eaten condiments, stale spices, and who knows what in the deep freezer. The end of summer is a great time to properly clear out your fridge, freezer, and pantry looking for items passed their use by date or foods good for donation. Food banks will be grateful for any unopened overspill you may have, and anything that won’t get eaten or can’t be eaten should be thrown away so you can give your kitchen a good deep clean. Single use gadgets and novelty tools are one of the biggest wastes of space in your kitchen, we should all stop buying these items. Check the back of your cupboards for anything you don’t need, never used, or no longer want. Don’t limit your summer declutter to your kitchen, search further afield in your shed or storage, if you find any untouched tools or rusty items, throw them in the bin. These pointless tools and utensils are a waste of space. If you managed to kill off some of your plants during the summer months but the crispy leaves and bare stems are still adorning your windowsills, stop your wishful thinking that they might make a miraculous recovery and get rid of them. There’s nothing sadder in a home to see dead plants around every corner plus the decaying leaves attract bugs, which could put your other plants (if you have any left!) at risk. Try again with some hardier varieties of houseplants and learn to care for them properly. Six months marks the expiry date for a lot of make-up items; if your bedroom counter and bathroom cupboards are stocked with skincare and beauty items, thoroughly check how long they have been open for and declutter your stash. Things like skincare that has been exposed to sunlight for prolonged periods, eye make-up, ancient brushes, or unwanted gifts can be tossed or donated without a second thought. The best time to tactical the decluttering of seasonal clothing is when the season has only just ended. Any seasonal items you didn’t wear can be easily identified and considered for donation; old swimsuits, worn out sandals, threadbare beach towels, and broken sunglasses can all be binned to make a little extra room in your wardrobe. 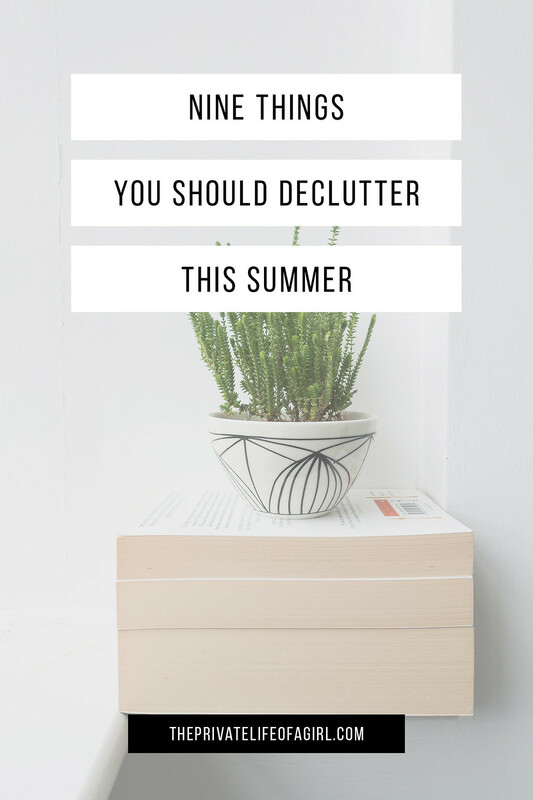 If you leave decluttering until winter rolls around the summer heat becomes a distant dream and you’ll be tempted to cling onto those summery pieces “just in case”. We all accumulate tote bags, they seem to appear from nowhere. While they’re ideal for grocery shopping, after a few months totes can get grotty pretty quickly. If a heavy-duty wash cycle can’t get rid of the dirty marks and stains, and the bag is starting to develop holes and handles that are hanging on by a thread; it might be time to retire them. Invest in a heavy-duty tote (like this one) and you’ll never have to tackle grubby tote bags again. Consider donating those books you picked up at the airport; the “summer reads” you took to the beach or read by the pool. If you’ve finished reading them, pass them on to family and friends or donate to a local library or charity shop. 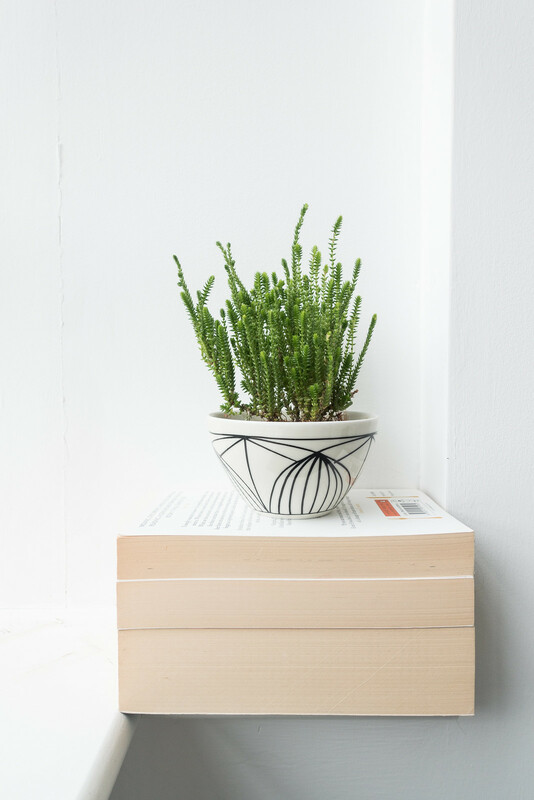 If it’s unlikely you’ll reach for the book again it’s better off going somewhere it will be more appreciate, freeing up a little extra space on your bookshelves. If you’ve been holding off investing in quality linen, the end of summer is a great chance to make the upgrade. Going into autumn/winter you’ll thank yourself for getting rid of your old threadbare linen and replacing it with a quality alternative. Raid your linen cupboard and give each set of sheets one last try on the bed; you want to feel excited to get into bed at night and tatty linen with holes and stains won’t excite anyone. Use the spent bed sheets as rags by cutting them up into squares, they can be used for mopping up spills and cleaning the worse of the worse stains. There are some things that bother us but for some reason we never get around to dealing with. Every day it catches our eye and we hate looking at it, the effort to deal with it fills us with dread or bores us senseless. Whatever it is that’s bothering you, perhaps it’s that junk drawer or hallway catch-all; the magazine rack, bathroom cabinet, or under the bed; make it your number one task to deal with it before summer ends. It will feel like a weight has been lifted off your shoulders.